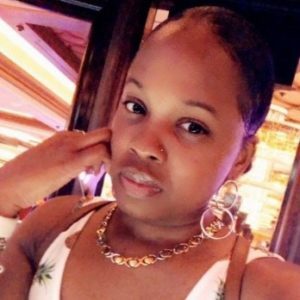 Renesia A. Petrus, also known as “Re-Re,” of St. Croix, U.S.V.I., died on Sunday, May 27, in Florida. She was 30 years old. She was preceded in death by her mother, Rona A. Simmonds. She is survived by her grandmother, Maria Felix; grandfather, Roy A. Simmonds; father, Vincent Petrus; great-grandmothers: Orisa Figueroa-Hernandez and Angelica Petrus; daughter, Keinesia Goodwin; sons: Jamaul and Jamaur Henry; sisters: Rhe-Anne Martin, Rihonna Snipe, Telisha Springer and Aniyah Petrus; brother, Vincine Petrus; nieces: Erheion and Shamaya; nephew, Austin; and aunts: Sherna, Shamalla, Andrea, Kira and Shada. She is also survived by uncles: Raphello and Jason; great aunts: Camela, Gwendolyn, Carmen, Sarah and Brenda; great uncles: Evangelista, Alfredo, Alejandro, Keba, Warren, Wayne, Daza and Brother Rap; and special family and friends: the Lockhart family, Wolf family, Encarnacion family, Navarro family, Mason family, Williams family, Ferguson family, Felix family, Molet family, Smith family, Petrus family and Simmonds family. Other special families and friends include the Ayala family, Hernandez family, John family, Illidge family, Joseph family, Crossman family, Figueroa family, Gaston family, Mariela Melendez, Vaughn Charles, Jasmine Rollocks-Bolton, Orencia Flemming, Sean Nixon, John William, Ikea Davis, Rufina Paulino, Euclyn Prentice Jr., David Brewster, Kyshara Natta, Shawna Brady and Yvonne Sanes; as well as other relatives and friends too numerous to mention. Tributes will begin at 10:30 a.m. followed by a funeral service at 11 a.m., Tuesday, June 12, at James Memorial Funeral Chapel. Interment will be at Kingshill Cemetery. So sad to see a beauty go but we have the hope to see you again as in John 5:28 ,29 which states this …do not be amazed at this for the hour is coming in which all those in the memorial tombs will hear his voice and come out those who did good things to a resurrection of life and those who practice vile things to a resurrection of judgement.